Posted 29 Jul 2013 in Albums of 1966, Albums of the 60s, Blues, Eric Berman's "Song Of The Day"
This record’s got it all! An insinuating groove that doesn’t quit…otherworldly vocals that spook and caress at the same time…laid bare stripped down production, and the stellar harp playing that gave Slim Harpo his surname. There’s good reason why ‘60s British Invasion groups like The Who, the Yardbirds, the Kinks and the Rolling Stones borrowed so heavily from him. Today’s Song Of The Day is the version of “Shake Your Hips” that The Rolling Stones carbon copied for their Exile On Main Street Album. The following year, ZZ Top revisited the track to form the basis of their first break-out hit “La Grange.” Although this is not surprising since the whole nature of the blues tradition is to pass down music from one generation to the next, it does amaze how many artists borrowed from Slim Harpo. The Slim Harpo songbook provided numerous sixties rockers with material to record including “Got Love If You Want It,” which was repurposed by The Who as “I’m The Face,” and also covered by The Kinks on their debut album. And then there’s his classic “I’m A King Bee,” which has seen covers by the likes of Grateful Dead, Pink Floyd, The Doors, Muddy Waters and The Rolling Stones. He was signed to the Nashville based Excello Records by Jay Miller who paired him as an accompanist to Lightnin’ Hopkins on several singles until recording and producing him on his own. 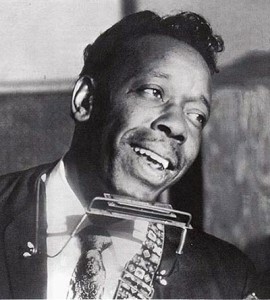 A name change was required when Miller found out there was another performer known as Harmonica Slim. Not only was Slim a great songwriter, composing classics that would be covered by a who’s who of performers, but he possessed a singing style that borrowed from urban blues and rural country and western. He possessed a plaintive ethereal voice that appealed to both pop and R&B audiences, ensuring that many of his records crossed over to both charts. Slim’s first single release was the double-sided hit, “I’m A King Bee” backed with “Rainin’ In My Heart” on the flip. While the A-side fared well on the R&B charts, the flip crossed over into the top 40 of the Billboard pop charts in 1961. His biggest hit came in 1966 with “Baby Scratch My Back” which climbed into the top 20 of the Billboard pop charts while topping the R&B charts. 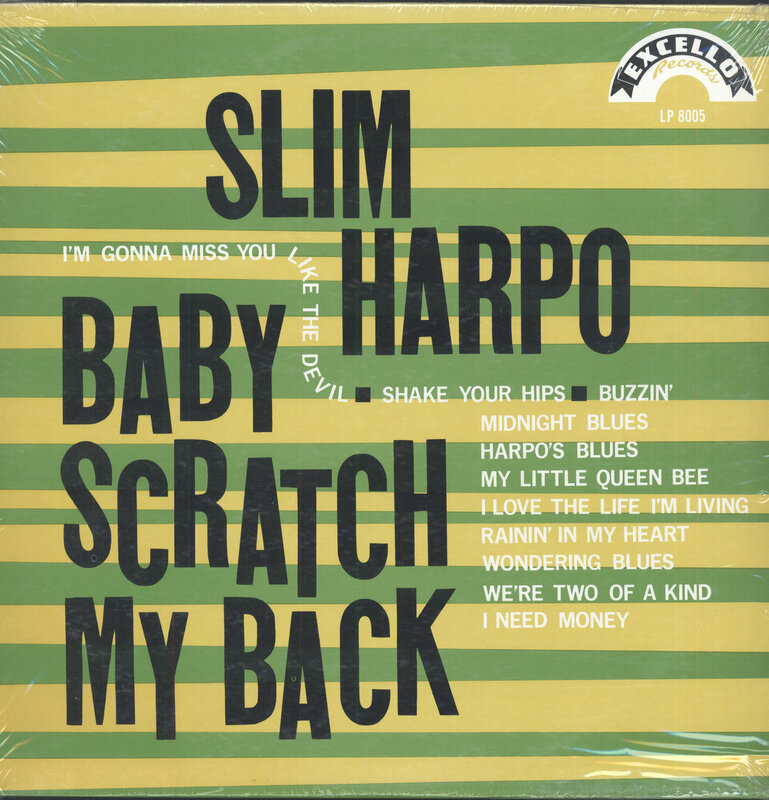 The huge success of “Baby Scratch My Back” found Harpo performing in a group with Lightnin’ Slim on the festival circuit during the late ‘60s, playing to predominantly rock audiences. He flew to England in January of 1970 to begin his first European tour when he died suddenly of a heart attack while taking part in a pre-tour recording session. what is 3 in addition to 7?